It was a Tuesday night after 9 PM when Brendon James first heard that his streetwear label had made it on TV. The news came after a hard year of marketing for a relaunch of the label, but it wasn’t a relief. “I was annoyed, excited, confused,” he said, talking about his reaction to the vague message from his sister. “She was at work, and she texts me just, ‘I think I saw one of your shirts on TV!’” He wanted to know more, but the two wouldn’t be able to talk until the next afternoon, at which time they had a conversation that still didn’t answer his questions. “She didn’t remember the name of the show, just that it was on BET, and she kept saying it was a white shirt with my logo. 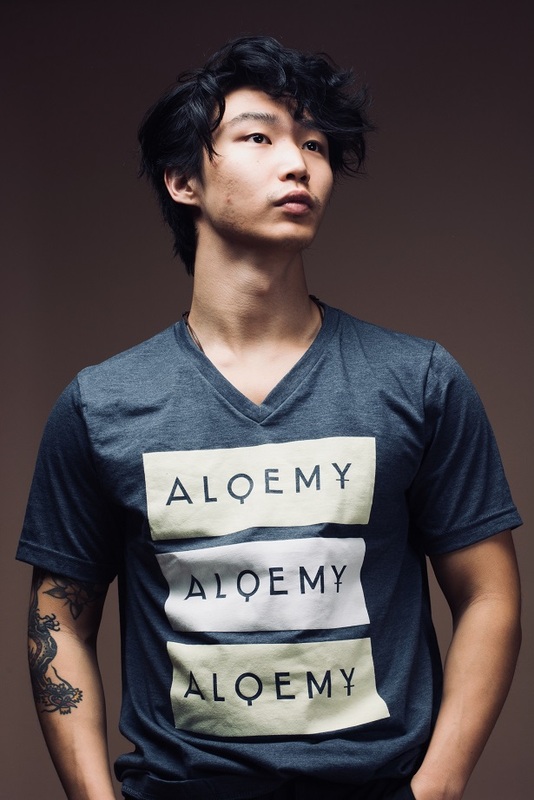 I didn’t make a white shirt,” he said. A little web research provided some encouragement. The timeslot on BET was for Tales, an original series by Irv Gotti that tells new stories based on classic hip-hop tracks. Amid the onslaught of last-minute election ads, Handyma’am founder Bella Weinstein was carefully watching two dates: the 7th and the 21st. The first marked the end of a historic campaign for Virginia women running for political office, the second, the end of a successful fundraising period for her feminist clothing line. Weinstein raised $50,000 through crowdfunding, netting $10,000 over her goal, to fund the production of a new and improved version of the coverall she designed as part of her burgeoning clothing line. 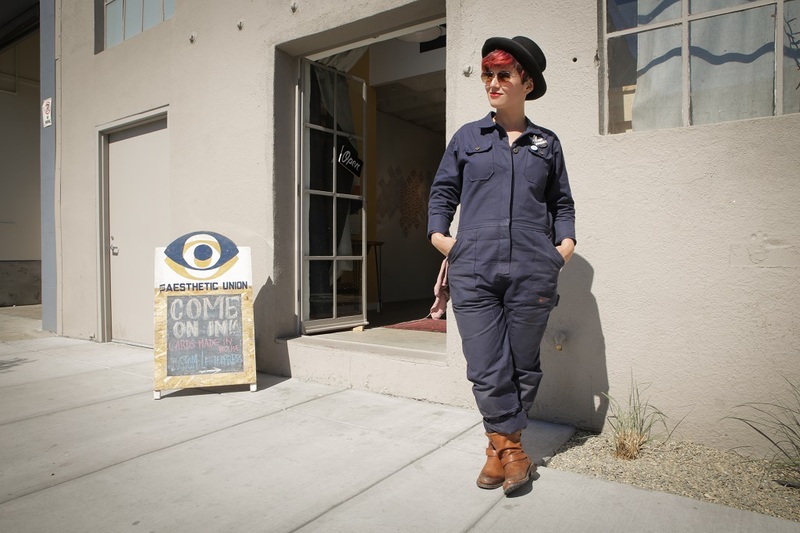 Handyma’am’s focus is on garments for women who work, inspired by the long history of women in trade work and the need for functional, well-fitting clothes for tough jobs. Weinstein personally wears, washes, and dries each garment she creates for Handyma’am before they hit the market. She also sends items like coveralls and the “Drapron” out to farmers and other women who get dirty professionally, or as a hobby. Weinstein works with technical designer Shaeffer Hatisma to bring her ideas to life. Features include cinching at the waist, pockets, and slimming silhouettes, all in thick, durable fabrics. The durability made it a challenge to find reliable production in the United States, but this is a problem Weinstein has recently solved. “This year, we’re making it real,” she said, referring to a US-only production strategy that includes women-owned textile shops in Portland, Maine and New York City. She often travels north to check-in on the New York production, but loves being based in Richmond, where she lives with her husband, James Lum, co-owner of JM Stock Provisions. Weinstein plans to grow and expand her business, citing a need to support other trades and body types. She also wants to do more philanthropy. She’s not looking to open a storefront, though; her focus is on national growth, aided by pop-up shops and online sales, without the distraction of running a physical space. The creative couple behind Nine Roses Jewelers is trying to make fine jewelry a little more approachable. In a well-lit space with hardwood floors and sleek glass cases, Eliza Spell and Nick DeRosa talk jewelry, sketch customer ideas, and sometimes bring their dogs to work. “Some people are so freaked out about going into a stuffy jewelry store,” said Spell, the Creative Director of Nine Roses, describing the vision behind the boutique decor. 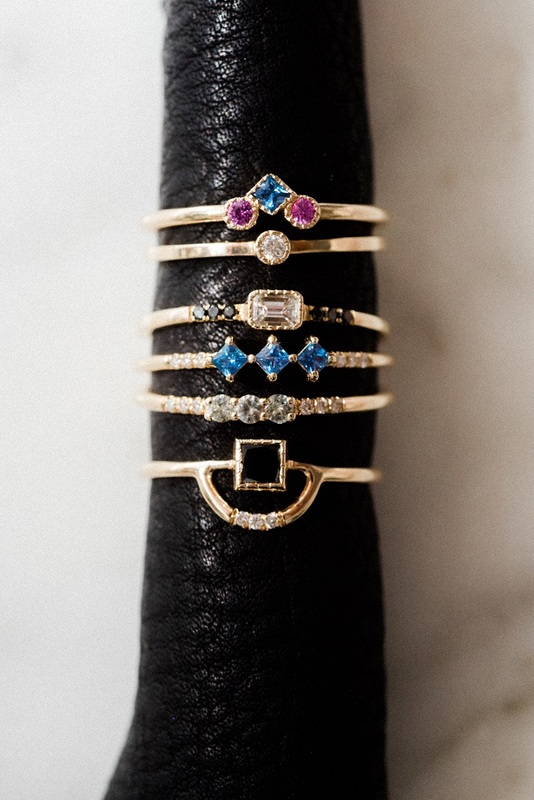 The collection is modern–imagine delicately crafted skull-shaped gold rings and dainty precious gems set in curvy, nature-inspired designs–but the materials are traditional and the results high end. Prices start around $100 for earrings and run as high as $3,000 for engagement rings and custom pieces. Engagements are a big part of the business. 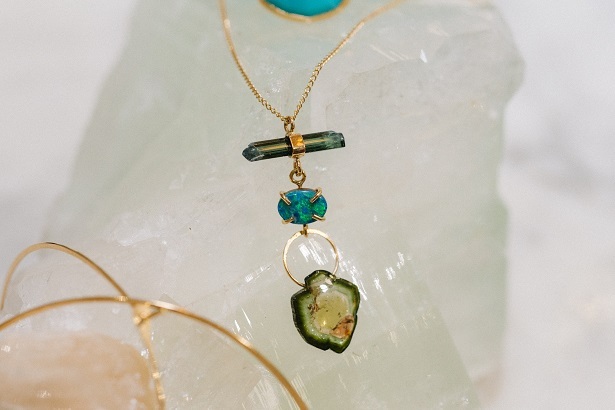 To make a potentially-stressful time more accessible, the wife and husband teamwork with couples on custom pieces, running the gamut from original work to placing heirloom gems into modern, trendy settings. They also offer an online blog for proposal-ready men and women covering style basics and details on diamonds. This will be their third year in business, a milestone Spell credits to connecting with customers and being transparent. “There’s a different level of trust that goes into the relationship you have with a jeweler,” she said.